Workforce Manager allows you to begin using and sending emails from the moment you sign in. By default this uses the built in email settings that AutoVu provides for you to begin using your own email address. But there's a lot more to our email system than first meets the eye. Have a read and find out what else you can do. To get things moving quickly and allow you to send Quotations, Purchase Orders, Invoices and any other general email correspondence, Workforce Manager automatically configures itself to use your email address so that your recipient can see that the mail was from you when you send directly from AutoVu. The reality is that each of these emails is routed through our own email server on your behalf. It’s a great way to get started, and for many companies it works perfectly well with no requirements to change any settings. The benefits of sending emails directly from Workforce Manager are numerous, but for the most part it's traceability. By sending directly from the system allows you to always have an immediate view of all correspondence simply by viewing the customer record. No need to search through hundreds or even thousands of emails contained within your out-box, just the ones that relate to that particular customer will be there. By using your own email server settings allows in many instances for you to also see you’re sent messages from Workforce Manager in your regular email out-box too. An additional feature is the reduction of spam rejection. Something that may or may not affect you by using our server but can put you completely in control when using your own server settings. Another reason to change the settings is that by default, AutoVu appends a ‘Powered By AutoVu Solutions’ logo to the bottom of every email sent using our server. This will be removed when using your own server. Setting up is a simple procedure, each user can go to ‘My Profile’ and enter the settings exactly as you would when configuring ‘Outlook’ or your mobile device to use email. 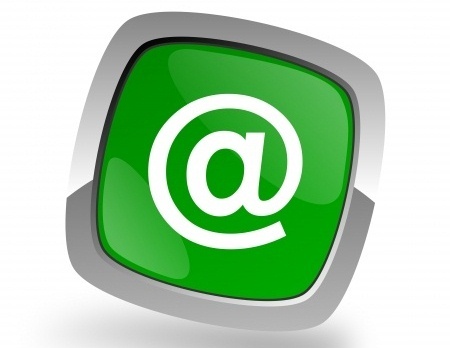 A test email will be sent out if the settings are correct and once verified your all set to go with your own email server. If your email server should fail, or you close the account at some point in the future, then Workforce Manager will detect this and once again begin using our own built in server settings making sure you do not lose email functionality. Workforce manager automatically adds your company details to the footer of every email sent. You can change this default behaviour by setting up a personalised email signature. An email signature is easily set up within Workforce Manager by once again visiting ‘My Profile’. Choosing the ‘Email Signature’ menu option allows you to personalise every email sent with your own logo and company details set out just the way you want them. By setting up these two elements of your email account within Workforce Manager enables you to make all outgoing emails look exactly the same as the ones sent from your regular account. If you don’t yet use the email functions of Workforce Manager, or you are looking for some professional software to manage your service teams, create purchase orders, quotations and many other optimising features, then drop us a line to find out more. Or just give us a call on 0845 474 8824 where we would be more than pleased to help.